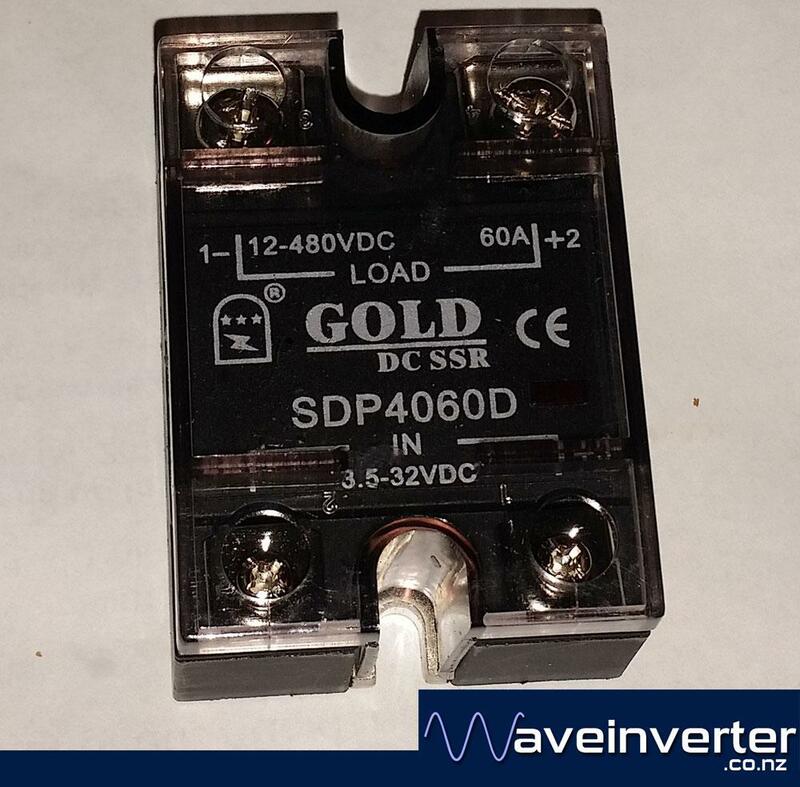 Use this Solid State Relay (SSR) to control power to your DC Load. Solid State Relays are the most reliable and highest performing relay technology available, far surpasing electromagnetic type relays. You can use this relay controlled by one of our temperature controllers or battery monitors to control a part of your DC circuit up to 60A. If your Amp flow ever exceeds 10A you must use it with a heatsink. We have DC Relays in 60A, 150A and 300A sizes.